For most of its life, the small border city of Presidio, Texas has been on the edge of the electric grid. 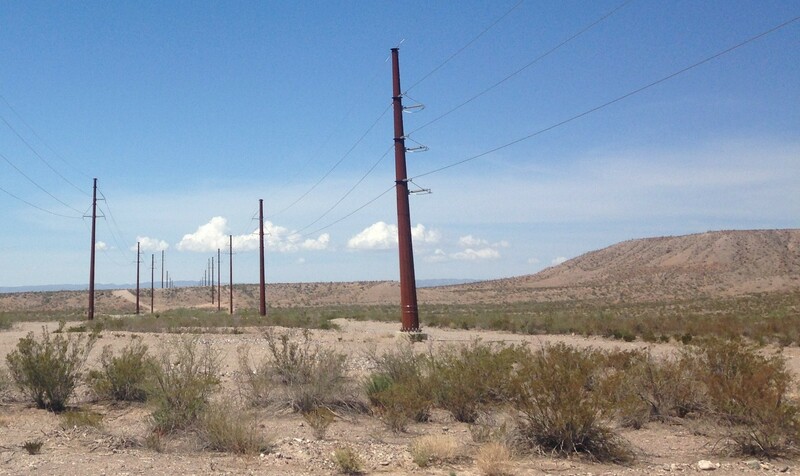 This rugged part of West Texas has seen a major upgrade of its transmission lines over the past five years, but Presidio’s Economic Development Director Brad Newton says before that, it was pretty much the Wild West of the grid. As part of our look at solar power in Texas this week,we went to see how after those new lines were put in, the city turned to the sun to make what used to be regular blackouts and power surges a thing of the past. 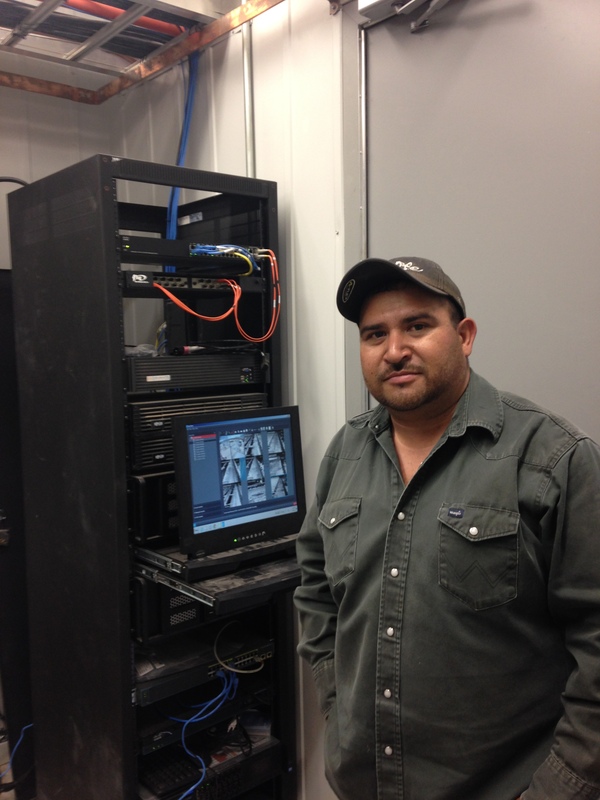 Edgar Briones works alone at the Acacia Solar Plant. It’s just him and about 42-thousand solar panels, and a constant, high-pitched humming in the background – the sound of the sun’s rays being converted into power and sent to the grid. 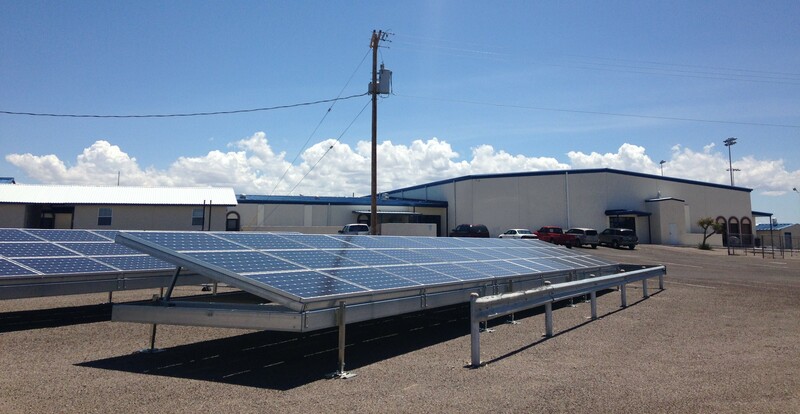 The panels follow the path of the sun throughout the day, adjusting every 15 minutes or so to get the most direct sunlight possible. The power the plant churns out is actually sold to the City of Bryan, but Presidio still reaps the benefit. “We’re putting out more power from this plant alone than the entire city uses daily,” says Newton. He says the power used to drop out even with small, far-away thunderstorms, but ever since the plant came online a year ago, the lights here stay on even when they’re out across the region. 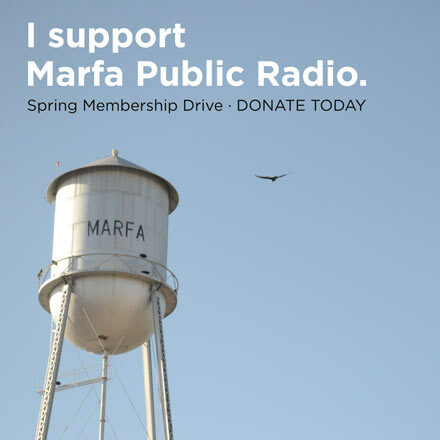 When we covered the ice storm that hit last fall, people in Marfa, Fort Davis and other towns were shivering in the cold without power for days, but the heaters in Presidio stayed on. The plant sits down a dirt road outside of town, surrounded by the vastness of the Big Bend landscape, so it’s hard to even know it’s here. Briones says a lot of people still don’t. He says sometimes when he crosses the border from his home in Ojinaga, Chihuahua into Presidio, customs officers ask him where he works. When he says the solar plant, they ask him where it’s at. “So they don’t even know it’s here, and they actually work and live here in Presidio,” he says. 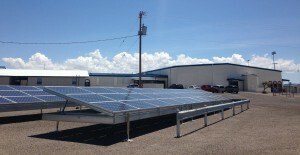 But Presidio’s actually been in the solar game for a few years now. The city’s wastewater flows through a solar-powered treatment plant, and the local schools have panels of their own. The Austin-based Pecan Street Research Institute studies small-scale renewable energy technologies, and how families use energy use on an everyday basis. 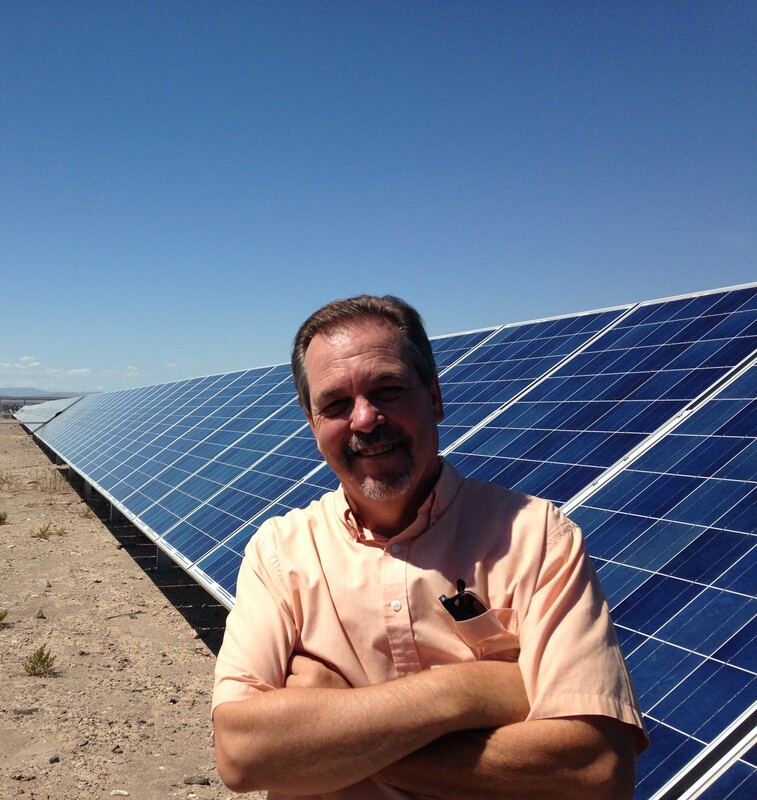 Brewster McCracken, Pecan Street’s CEO, says just a year ago, solar looked sluggish. 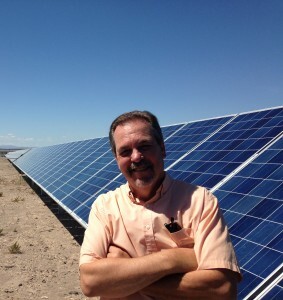 The looming solar boom in West Texas is proof of that. Companies from California to France say the market’s just now getting strong enough where they can turn a profit in Texas. Three utility-scale plants are in the works right now, and one’s already being built near Fort Stockton – but it’s not like this is all some utopian green dream. “Personally, the natural gas to me I think would be a good thing for the city,” says Presidio Mayor John Ferguson. Ferguon’s opposed to oil and gas drilling anywhere in the Big Bend, but he does see the need for a diverse energy mix, so he’s all for using gas that’s pumped in from somewhere else. Right now the city doesn’t have access to natural gas, but Ferguson says if it did, it could bring in manufacturing and jobs. There’s a sizable chile plant based just south of the border that wants to move across into Presidio, but it needs natural gas to cook the chiles. Newton also says drilling doesn’t need to happen here, but he says the city’s watching the industry in Mexico for opportunity. Government-owned PEMEX is exploring for oil and gas just an hour south of the border, and Newton says Presidio could be an industry-friendly neighbor. “We would be a real good host for companies to come down and supply all the needs that they need to look for Oil and Gas in Mexico,” he says. Mexico also recently announced plans for a natural gas pipeline that would stretch from Chihuahua through the border and up into to the booming Permian Basin. 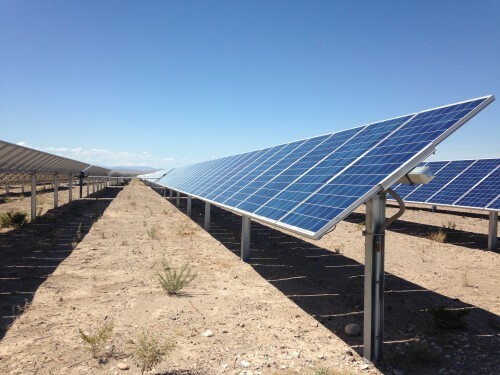 In Texas, solar is still the underdog when it comes to competing with oil and gas. State regulators still haven’t called for a particular focus on developing solar – what’s called a solar “mandate” – but the state still has some of the nation’s highest potential for harvesting the sun’s power. That means small-scale experiments like the ones in Presidio might become models for communities across Texas, and for companies from far and wide. This entry was posted in KRTS News and tagged Electrical Grid, ETT, Natural Gas, Oil and Gas, Presidio, Presidio County, Renewable Energy, Solar, Texas Economy, Texas Solar Power. Bookmark the permalink.